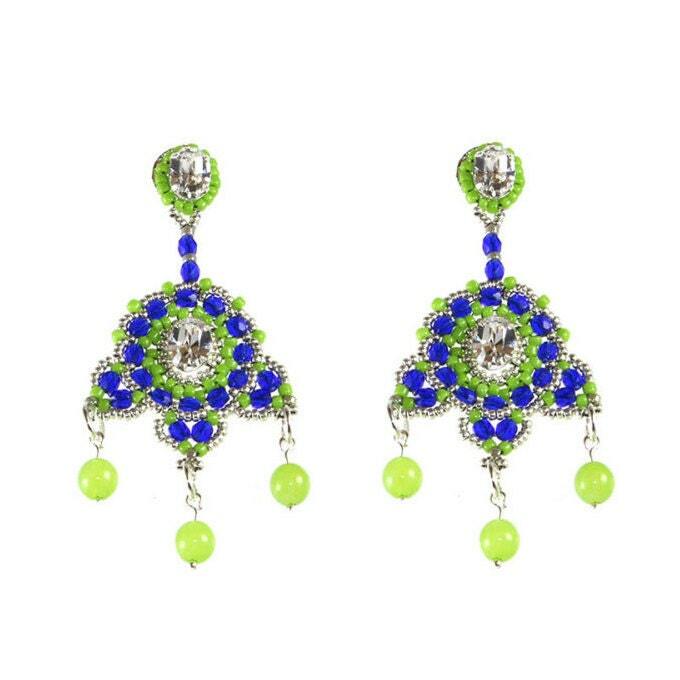 This pair of elegantly adorned chandelier earrings is full of delicate detail. A blend of exotic colors with a hint of gold and sparkling white crystals make them perfect for daytime or evening glamour. 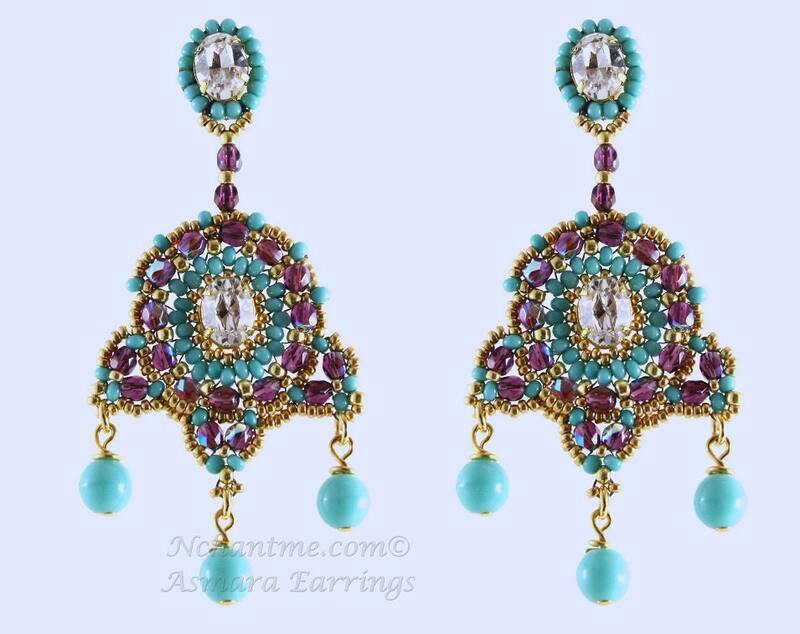 Make elegant earring studs without the use of glue or suede backing, and incorporate dazzling crystal mounts and drop beads into this design. Techniques: Peyote Stitch, and embellishment stitches, basic wire skills. Suitable for confident beginners and beyond. This pattern is in English Only. Clear instructions with 22 step-by-step illustrations will make beading this pair of earrings a breeze! Materials such as beads and findings are NOT included.